The Kremlin on Friday rejected a claim from the memoirs of former French president Francois Hollande that Russian leader Vladimir Putin had threatened to "crush" Ukrainian troops. The allegations relate to exchanges between Putin and Ukrainian President Petro Poroshenko during peace talks in Minsk in 2015. "Several times things heat up between Poroshenko and Putin, who suddenly becomes annoyed and threatens to simply crush the troops of his interlocutor," Hollande wrote in his book "Lessons of Power". "This amounts to admitting the presence of his forces in eastern Ukraine. He immediately takes it back." 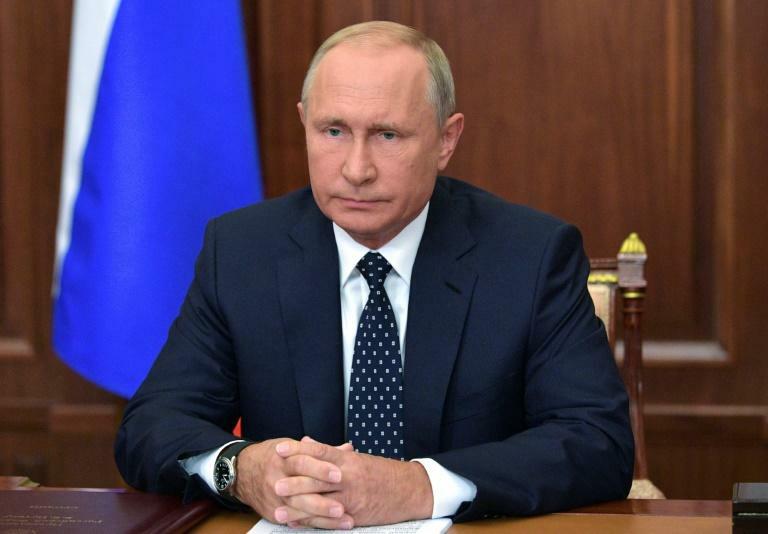 But Kremlin spokesman Dmitry Peskov said he had not heard Putin use the phrase, after being questioned on the memoir which was published in April but has only recently begun to circulate in Ukraine. "I was practically at every negotiation. I did not hear this phrase," Peskov said. He said he had not read the book. Moscow has denied the allegations despite evidence it has been involved in the fighting and gives open political support to the rebels.